1-Channel Solid-State Relay is some what similar to that of a mechanical relay & the difference is that, there is no moving contact in a Solid-State Relay. Here we make use of Phototriac coupler to turn it ON and OFF. 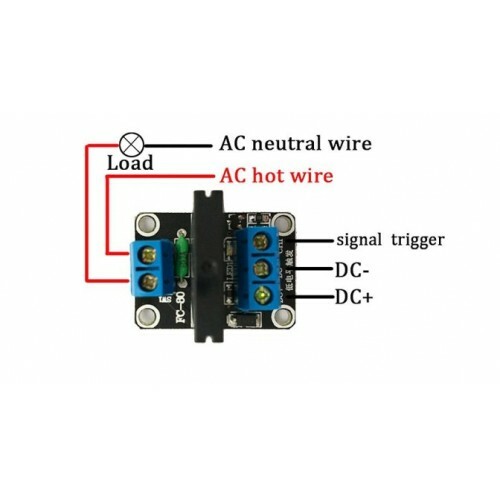 It finds its application in AC circuits as a TRIAC has got only limited applications in DC. Solid state relays do have several advantages over mechanical relays. 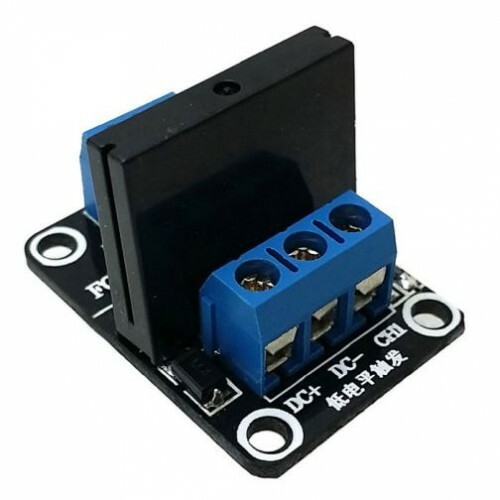 One such advantage is that they can be switched by a much lower voltage and at a much lower current than most mechanical relays. Also, because there’s no moving contacts, solid state relays can be switched much faster and for much longer periods without wearing out. Omron G3MB-202P solid state relay module is capable of switching an AC voltage between 100 and 240V at up to a 2A current. The module can be controlled from 5 Volt digital source such as an Raspberry Pi, Arduino or any other 5 volt micro-controller.